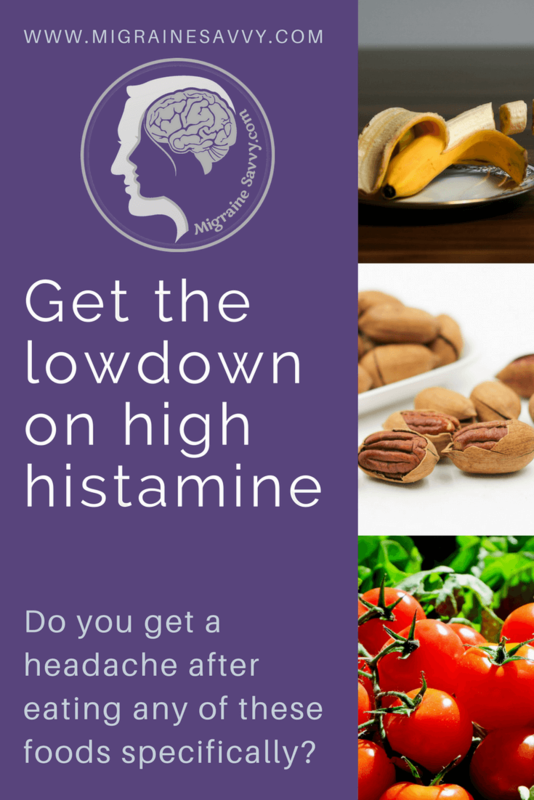 If you get a headache after eating, it could be from histamine intolerance (HIT). I am not talking about taking an antihistamine as if you had an allergy. It's much more complicated, yet it could be as easy as that. Have you forgotten what’s it like to feel great and full of energy after you eat? Getting sick every time you eat is a nightmare. Keep reading, this might just be your solution. My histamine level, according to my most recent blood test, is normal. But my doctor has still suggested doing a low histamine diet because I often get a headache after eating. This is the Histamine Diet printout she gave me to follow and her treatment solution. I had to do further research on histamines and found this fantastic information The Histamine and Tyramine Restricted Diet (2012) by Janice Vickerstaff Joneja, PhD., R.D. 1. What about grains, I wanted to lean towards the Paleo Diet to test my energy levels. 2. What about coconut yogurt? Yogurt is restricted but coconut milk is allowed. 3. What kind of DAO capsules do I take and how much? 4. How long do I have to do the histamine diet? No cinnamon or cloves, and no lemon, lime or blueberries? UGH! No peaches, cherries, or apricots. And in the vegetable area: no potato or onion, no avocado, spinach, sweet potato, tomato, no green beans and no green peas. That’s just to name a few. 5. What about mold on rock melon (cantaloupe)? Melons are allowed. 6. All vinegars? What about apple cider vinegar or coconut amines vinegar? 7. Flax Oil but not fish oil. 8. Cook with coconut oil. 9. It says to avoid bread – but what about gluten free bread? 10. Xylitol is better than Stevia! Says my doctor. 11. Raw veggies are better than cooked. 12. Dark chocolate is allowed! 13. Chamomile tea is in, and green tea is out! Whenever you eat anything, histamine is released as part of your digestion process. An enzyme called diamine oxidase (DAO) is needed to process it. Without the enzyme, you can’t fully process the amount of histamine released. Some foods have higher levels of histamines than others. When our body can’t process the amount of histamine being released, it can become a migraine trigger. Feels somewhat out of our control don’t you think? But it’s not. Amazon sells a supplement called Histame that you can take 10 minutes before you eat to help stop your headache after eating. Check with your doctor before you start taking any new supplements, but this one has had some great results. Amazon also has Histamine Block which might work better for you as it is stronger. If you click on this link and then search Histame you will find it there with some customer reviews. If you are experiencing constant headaches after eating, this might be worth trying. But please seek medical attention first. With any head pain please see your physician asap. 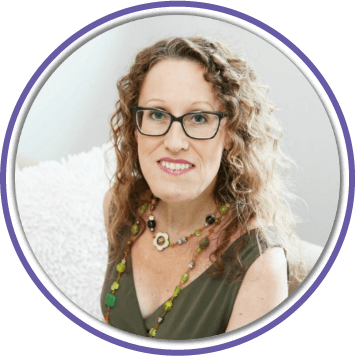 Chronic illness is hard enough without setting yourself up for some eating disorders as well. Not producing enough DAO or stomach acid to digest your foods is known to cause headaches after eating. This can then lead to full blown migraine attacks and a whole array of other health problems as you can imagine. 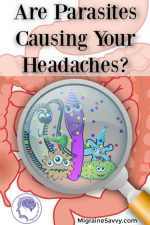 Here is another post on digestion problems if you think poor digestion is causing your migraine headaches. 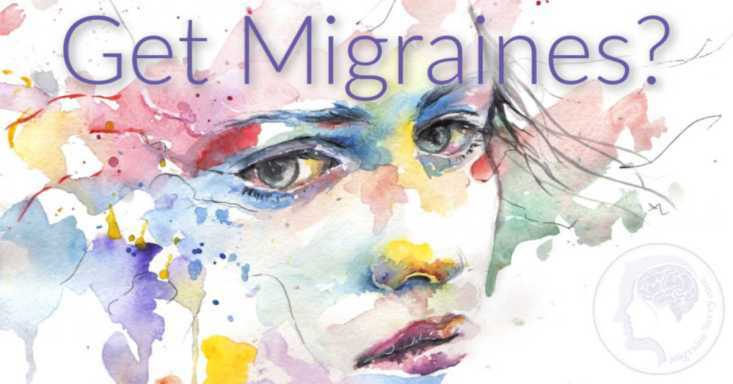 A small study done in 2013 in Barcelona, Spain examined the use of Diamine Oxidase or DAO to prove its effectiveness as a migraine preventative. Here is the link Migraine Attacks Shortened by Diamine Oxidase Supplements. They diagnosed 137 patients with migraine and 119 were deficient in the DAO enzyme. The participants in the placebo and controlled group did not differ much in reporting their pain intensity during an attack, but there was a 20% difference in the consumption of triptan drugs. 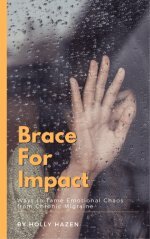 The participants taking the DAO took less medication. YAY! Histamine Block contains 10,000 HDU of DAO. I have no relationship, financial or otherwise, with any company that manufactures or sells DAO. Do You Get A Headache After Eating These Foods? Typical food intolerance can look like: minor abdominal cramping, headache, occasional fatigue, skin rash, nausea, gastrointestinal effects, bloating, running nose and or watering eyes. And or a combination of all of these. Do you get a headache after eating any of these foods specifically? These are all high histamine level foods. 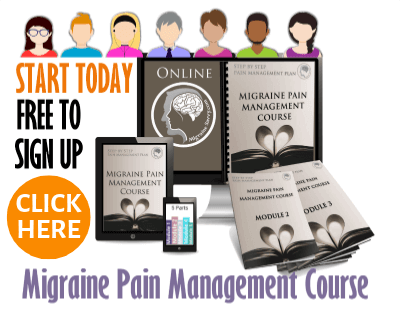 If you are diagnosed with cluster migraines then histamine might be a trigger. But daily headaches, they are also called histamine headaches, are much different. Cluster headaches come in cycles and are the worst pain imaginable! You will not want to take an over the counter antihistamine to help stop these babies. Here is what you can do now to help stop your headache after eating from even starting. 1. I recommend that you book an appointment with your doctor to get the right diagnosis, this is always my number one. Getting the right diagnosis means your doctor can prescribe the right treatment. 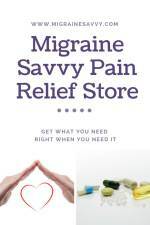 Different migraines and headaches are all treated differently. Read this post to see the difference between migraine vs headache. Click here for the right cluster treatment. 2. Keep track of what you eat in a food diary to help determine if there is a pattern with high histamine foods. It helps to keep notes on number of capsules or dose and number of foods you eat each time... you might react differently to 6 grapes or 20 grapes. High histamine foods will test you. 3. You can get a histamine blood test done with your primary care physician. But there is nothing currently here in Australia that I can recommend that does not cost more than just trying the tablets to see if they work for you. 4. Your doctor can tell you what dose to start with. Histame is a smaller dose than the Histamine Block. Remember to ask exactly when to take the capsules... how long before you eat? 5. You may need to experiment with doses. The label recommends taking 2 caps 15 minutes before food. But, you may need to take one more capsule for high histamine meals and less when you are sticking to the low histamine foods. 6. Try the low histamine diet at the same time, you should get better results. 7. My doctor has assured me that DAO is safe if you do take a little too much. It should just get evacuated in your urine. Has DAO stopped your headache after eating? I am looking forward to hearing about your results... tell us the brand, the dose, all the details you can. Come over to facebook and let me know.